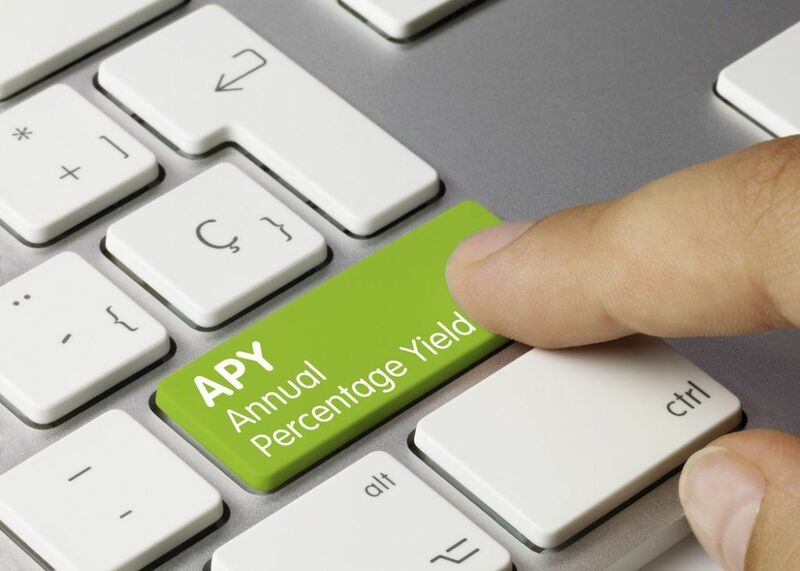 The annual percentage yield (APY) is a normalized interest rateInterest RateAn interest rate refers to the amount charged by a lender to a borrower for any form of debt given, generally expressed as a percentage of the principal. The asset borrowed can be in the form of cash, large assets such as vehicle or building, or just consumer goods. based on the compounding period of one year. The APY provides a standardized representation of the underlying interest rates of financial products. The primary advantage of the annual percentage yield is the consideration of the compounding effect. Recall that compounding is essentially a process in which an asset or liability makes earnings and interests on both principal and capital gainsCapital Gains YieldCapital gains yield (CGY) is the price appreciation on an investment or a security expressed as a percentage. Because the calculation of Capital Gain Yield involves the market price of a security over time, it can be used to analyze the fluctuation in the market price of a security. See calculation and example or interest. In other words, it provides the true interest rate that a lender or an investor will earn. Using the annual percentage yield, one can compare various financial products whose interest rates come with different compounding periods. However, the APY does not consider potential account feesService ChargeA service charge, also called a service fee, refers to the fee collected to pay for services that relate to the product or service that is being purchased. that can affect the net gain. Although both the annual percentage yield (APY) and annual percentage rate (APR)Annual Percentage Rate (APR)The Annual Percentage Rate (APR) is the yearly rate of interest that an individual must pay on a loan, or that they receive on a deposit account. APR is used on everything from mortgages and car loans to credit cards. Ultimately, APR is the simple percentage term used to express the numerical amount paid by an individual or entity yearly for the privilege of borrowing money. are representations of interest rate, there is a significant distinction between the two terms. Unlike the annual percentage yield, the annual percentage rate does not consider compounding effects and quotes the actual yearly cost of funds. As mentioned above, the primary advantage of the APY over the APR is the standardized representation of interest rates. In other words, the former can be utilized to compare products with various compounding structures for interest rates. Since the APY takes into consideration the compounding effect, it is higher than the APR. Due to such a reason, financial institutions tend to prefer to quote the APR in their loan offerings as the lower rate makes their deals more attractive to potential customers. For the same reason, the annual percentage yield is frequently reported in the offerings of investment products or interest-earning bank accounts as investors are willing to receive higher interest rates on their investments. Effective Annual Interest RateEffective Annual Interest RateThe Effective Annual Rate (EAR) is the interest rate that is adjusted for compounding over a given period. Simply put, the effective annual interest rate is the rate of interest that an investor can earn (or pay) in a year after taking into consideration compounding.